Peaced Together craft projects are all very different, so you will gain skills using a wide range of materials and techniques. 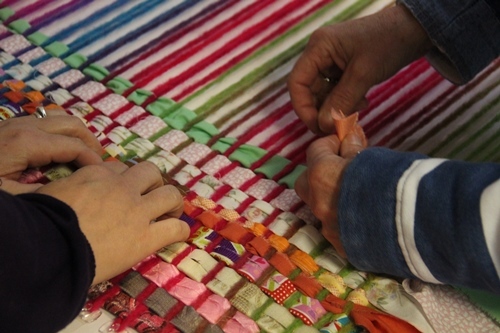 The projects range from sewing cushions to creating mosaics. Each finished piece will look very individual – it is always a delight to see how everyone expresses themselves differently. You will spend some time each session looking at different themes related to each craft, such as hope, beauty and courage. Peaced Together lasts ten weeks. Each weekly session is two hours long. You may be asked for a contribution to help cover material costs. If contact details for a course location on the map below aren’t available, or you’d just like help finding a course, you can get in touch with us at info@peacedtogether.co.uk for more information.